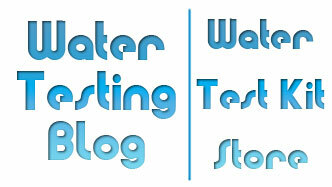 Environmental Water Test Results Faked? If ever we needed a reason to test our water on a regular basis, and by the way we really don’t NEED another reason, this situation would certainly push us in that direction. An ex-employee at an asphalt company has come forward recently with allegations that higher-ups in the company encouraged him to submit fake water samples (taken from a rainwater collection bucket) and submit them for testing by the Oregon Department of Transportation… because the higher-ups feared actual testing of their waste water stream would reveal code violations. Nothing makes the taste of fresh, clean drinking water vanish quite like… runoff from an asphalt plant, right? Even just saying that to ourselves as we put together this blog posting turned our stomachs. So, if unlike ourselves you actually believe all of required environmental testing gets done in the proper manner, perhaps now you will see things a bit differently and start testing your water on, at the very least, a semi-regular basis? Think we made up this story? Not! Read the source article here. 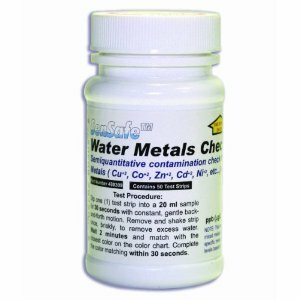 Common water contaminants to test for? 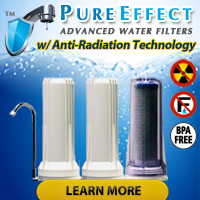 Although far more sinister compounds and elements exist in our world that could enter our water supply (i.e. organic solvents, radioactive isotopes, etc. ), we routinely suggest testing for heavy metals as a good starting point because whether you have city/municipal water or your water comes from a well or spring, metals can pretty much always — under the right circumstances — find a way into the water supply. Well casings typically get made out of metal. City/Municipal water must travel through miles of metal piping before it gets to one’s residence. Water extracted from wells comes in contact with rocks and soil that all contain traces of metals. While most homes these days contain plastic plumbing, many older homes still contain metallic plumbing (copper w/ lead-laced solder at the joints) plumbing… and metal lines get used to connect most homes (regardless of age) to the municipal water system. What should I test for next? After dissolved metals in water testing things get a bit murky. Pardon the expression. Folks with well water may want to test for all sorts of things such as nitrates, nitrites, coliform bacteria (important! ), hydrogen sulfide, arsenic, etc. while folks on city water may want to test for specific metals such as copper and lead, total hardness, free chlorine, total chlorine, etc. No matter what type of water you have going into your home, school or place of business, only regular testing of the water’s quality will let you know if you have anything to worry about when it comes to the safety and purity of the water you drink. « ‘Red Mud’ Colored Water Out of Faucets During Flushing… A Problem?